Digital radon monitors are useful if you want to carry out long term measurements in a building or have several different areas that you want to test. Digital monitors do not need to be sent back to a laboratory for analysis before you obtain your radon resut. 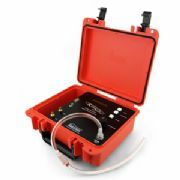 These radon testing devices can be particularly useful for carrying out continuous monitoring after mitigation work has been completed, so that you can be sure that the system is performing as expected and that radon concentrations remain at an acceptable level. 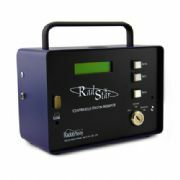 Radonshop.co.uk is propertECO's online store, allowing customers to purchase radon test kits, digital radon monitors and radon mitigation equipment quickly & easily online. propertECO are specialists in designing & installing radon mitigation systems. Please visit our main website www.properteco.co.uk for more information on our services. We are currently unable to accept online orders from outside the UK, however please contact us with your requirements and we will provide a quotation including overseas delivery.